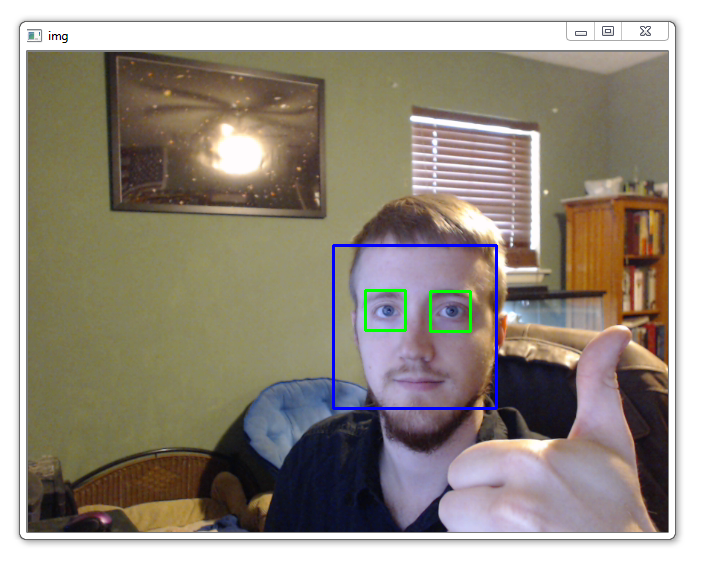 In this OpenCV with Python tutorial, we're going to discuss object detection with Haar Cascades. We'll do face and eye detection to start. In order to do object recognition/detection with cascade files, you first need cascade files. For the extremely popular tasks, these already exist. Detecting things like faces, cars, smiles, eyes, and license plates for example are all pretty prevalent. First, I will show you how to use these cascade files, then I will show you how to embark on creating your very own cascades, so that you can detect any object you want, which is pretty darn cool! You can use Google to find various Haar Cascades of things you may want to detect. You shouldn't have too much trouble finding the aforementioned types. We will use a Face cascade and Eye cascade. You can find a few more at the root directory of Haar cascades. Note the license for using/distributing these Haar Cascades. Let's begin our code. I am assuming you have downloaded the haarcascade_eye.xml and haarcascade_frontalface_default.xml from the links above, and have these files in your project's directory. Here, we begin with import cv2 and numpy, then we load in our face and eye cascades. Simple enough so far. Not bad. You may notice I had to remove my glasses. These caused some trouble. My mouth also was detected pretty often as eyes, sometimes even a face, but you get the idea. Facial hair and other things can often fool rudimentary face detection, and even advanced. Skin color can also cause a lot of trouble, as we often try to simplify images as much as possible, thus losing a lot of color values. There's even a mini-industry around avoiding face detection and recognition. The website CVDazzle would be an example of this. Some of these are pretty outlandish, but they can work pretty well. You could also always go the route of complete facial reconstructive surgery to avoid automated tracking and detection, so there's always that, but that's a bit more permanent. A hair-do is a bit more temporary and easy to do. Alright so detecting faces, eyes, and cars is alright, but we are programmers. We want to be able to do anything. Turns out, things can get pretty confusing, and somewhat challenging to build your own Haar Cascades, but other people do it... and so can you! That's what well be talking about in the next tutorial.